Doodlecraft: Tardis Cookie Cutter DIY! 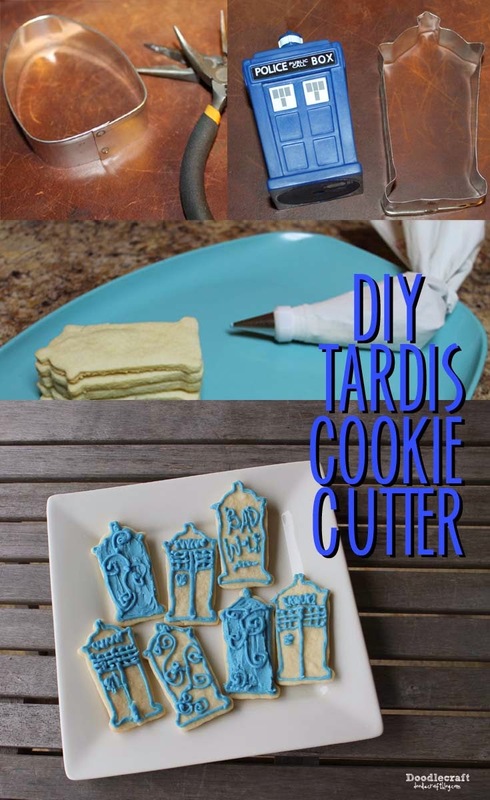 Make your own Doctor Who inspired Tardis Cookie Cutter! I also used needle nose pliers. Make straight sides...or slightly angled outward for a little variety.. Cookies don't always turn out exactly as cut, so it doesn't have to be perfect! That is very inventive. The shape looks great! And is clearly a Tardis. Love it.